WordPress 2.9.1 – what is the difference? 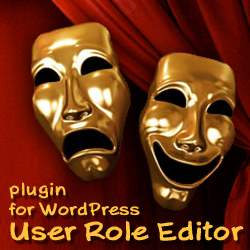 From January, 4th, 2010 WordPress 2.9.1 is available for download. The most of issues updated in this WordPress version are shown already in the “WordPress 2.9.1. incoming” article. You can find the full list of files updated in the 2.9.1 version comparing to version 2.9 in this article. You need to update your current WordPress installation to the latest one as soon as possible. Make it the solid rool for any new WordPress release. No matter if you did not see any bugs which this update fixes. It is for security reason primarily. You have to make full backup of your WordPress site including database data before proceed to the upgrade action. For those of you who have installed WordPress 2.9 already and it is clean (you didn’t change core WordPRess files yourself) the update step is very easy: just click link at the top of your WP admin dashboard. 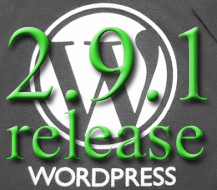 If you prefer to put new WordPress files to your site manually via FTP or SSH session it is nothing more easier with this 2.9.1 WordPress release. You can ask why? Because of there are no any new or removed files in this installation package comparing with 2.9 realease. Updates to the existing files are made only. So you can safely copy all files from the WordPress 2.9.1 installation package over your current WordPress 2.9 installation. For more details about what changes in what file are made you can visit WordPress oficial bug tracker here. If you wish to discover the changes yourself use one of text difference tools. For example I use WinMerge for that. It takes the seconds for WinMerge to compare two WordPress folders with different versions and show you what files are changed and change details for every file. This entry was posted on Saturday, January 9th, 2010 at 04:03	and is filed under WordPress. You can follow any responses to this entry through the RSS 2.0 feed. You can skip to the end and leave a response. Pinging is currently not allowed.